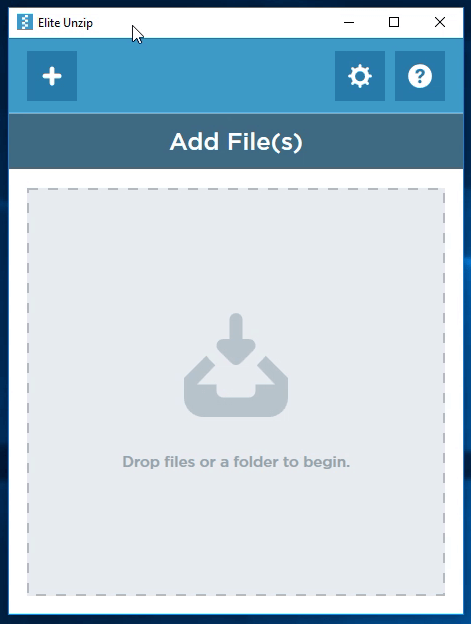 EliteUnzip is a program developed by Mindspark Interactive. This program lets you compress and extract all the popular archive types. From the Author: Elite Unzip is a program for creating and extracting archive files; it has support for over 20 file formats. This application downloads onto your computer in two parts: one for your desktop, and one for your browser. They both work together to make packing and unpacking archive files easy. While EliteUnzip itself is not a threat, it comes bundled with other software that might cause a problem to your computer. Due to its bundled nature, several anti-virus scanners have marked EliteUznip as a Potentially Unwanted Program and is therefore not recommended to keep on y our computer, especially because there are other free programs that do the same functions without the additional bundled software. Precisely what is a Potentially Unwanted Program (PUP)? Have you ever found out an unwanted program running on your computer and wondered how the heck it got there? These unwanted programs, which are known as Potentially Unwanted Programs, or PUPs in short, often tag along as a software bundle when downloading the program and can result in major problems for computer users. It’s clear by the name – unwanted programs – but did not really constitute “malware” in the traditional sense. The reason for this is that the majority of PUPs enter into users’ computers not because they exploit security weaknesses, for instance, but mainly because the users give consent to download it – unknowingly in many instances. No matter whether it is regarded as malware or otherwise, PUPs are almost always bad for a computer owner as it might bring on adware, spyware, keystroke logging, and other nasty “crapware” features on your PC. What do PUPs do on your computer, precisely? Most Potentially Unwanted Programs comes in the form of adware, which generally aims to exhibit lots of annoying pop-up ads, banners, coupons, and deals on websites you explore. PUPs that come in the form of browser add-ons and toolbars are widely identifiable. They may track your online activities, redirect your search results to risky sites where adware and spyware can be downloaded, hijack your home page, and slow your browser down to a crawl. PUPs carry a dangerous bite if left behind unchecked. The worst part of setting up a PUP is the spyware, adware and keystroke loggers that could hide inside. These are programs which don’t do anything good for you; in addition to taking over space on the hard disk, they will also slow down your PC, often change settings without your permission, and the list of bothersome features goes on and on. •	Normally, when installing a software program you get two options, ‘Standard Installation’ and ‘Custom Installation’. Don’t opt for ‘Standard’ as unwanted programs might automatically be installed that way! •	Use a good anti-malware software. Try Safebytes Anti-malware which can spot PUPs and treat them as malware by flagging them for deletion. •	Be alert when you download and install freeware, open source program, or shareware. Nowadays ‘freeware’ aren’t actually freeware – but crapware bundling nonsense. •	Only use official product sites for downloading applications. Steer clear of download websites altogether since most websites compel users to download the program with their own download manager, which is often bundled up with some kind of PUPs. When you follow these guidelines thoroughly, you should stay fairly safe from potentially unwanted programs. Virus Blocking Access To Safebytes Site And Preventing Anti-Malware Downloads – What You Should Do? All malware is inherently unsafe, but certain kinds of malicious software do a lot more damage to your computer or laptop than others. Some malware variants alter browser settings by adding a proxy server or change the computer’s DNS configuration settings. When this happens, you will be unable to visit some or all of the sites, and therefore unable to download or install the necessary security software to eliminate the malware. If you are reading this, chances are you’re stuck with a virus infection which is preventing you to download and install Safebytes Anti-Malware software on your computer. There are some actions you can take to circumvent this issue. In the event the malware is set to run at Windows start-up, then booting in safe mode should avoid it. Since only the minimal applications and services start up in safe mode, there are hardly any reasons for conflicts to happen. The following are the steps you should follow to start your computer into the Safe Mode of your Windows XP, Vista or 7 computers (go to Microsoft site for directions on Windows 8 and 10 computers). 1) Tap the F8 key continuously as soon as your computer boots, however, before the large Windows logo comes up. This should bring up the Advanced Boot Options menu. 2) Make use of the arrow keys to select Safe Mode with Networking and press ENTER. 3) Once you get into this mode, you should have internet access once again. Now, obtain the malware removal software you need by using the web browser. To install the program, follow the guidelines in the setup wizard. 4) Following installation, run a full scan and let the program eliminate the threats it finds. Some malware mainly targets particular browsers. If this sounds like your case, make use of another internet browser as it may circumvent the virus. If you appear to have a malware attached to Internet Explorer, then switch over to a different browser with built-in safety features, such as Firefox or Chrome, to download your favorite anti-malware program – Safebytes. Here’s yet another solution which is utilizing a portable USB anti-malware software package that can check your system for malware without needing installation. Adopt these measures to use a flash drive to clean your infected system. 1) Download the anti-malware on a virus-free computer. 3) Double click on the exe file to open the installation wizard. 4) When asked, select the location of the pen drive as the place where you want to store the software files. Follow the directions to complete the installation process. 6) Double-click the anti-malware software EXE file on the thumb drive. 7) Click on “Scan Now” to run a scan on the affected computer for viruses. If, after all of these measures, you are still having issues with a possible infection, feel free to contact us with your concern, via e-mail or chat. If you are already our client, technical help for malware removal is just a phone call away. Call 1-844-377-4107 to talk to our expert technicians and obtain assistance remotely. If you are looking to purchase anti-malware for your PC, there are various brands and applications for you to consider. A few of them are great and some are scamware applications that pretend as authentic anti-malware software waiting to wreak havoc on your computer. You need to pick a tool that has gained a good reputation and detects not only computer viruses but other types of malware as well. When considering commercial application options, many people opt for popular brands, such as SafeBytes, and are very happy with it. SafeBytes anti-malware is really a powerful, highly-effective protection application intended to help users of all levels of IT literacy in finding and removing harmful threats out of their computer. This application could easily identify, remove, and protect your computer from the most advanced malware intrusions such as adware, spyware, trojan horses, ransomware, worms, PUPs, as well as other possibly damaging software applications. Real Time Protection: SafeBytes provides real-time active monitoring service and protection against all known computer viruses and malware. It will monitor your personal computer for suspicious activity regularly and shields your personal computer from unauthorized access. Best AntiMalware Protection: Safebytes is built on the very best virus engine in the industry. These engines will find and remove threats even during the early phases of a malware outbreak. 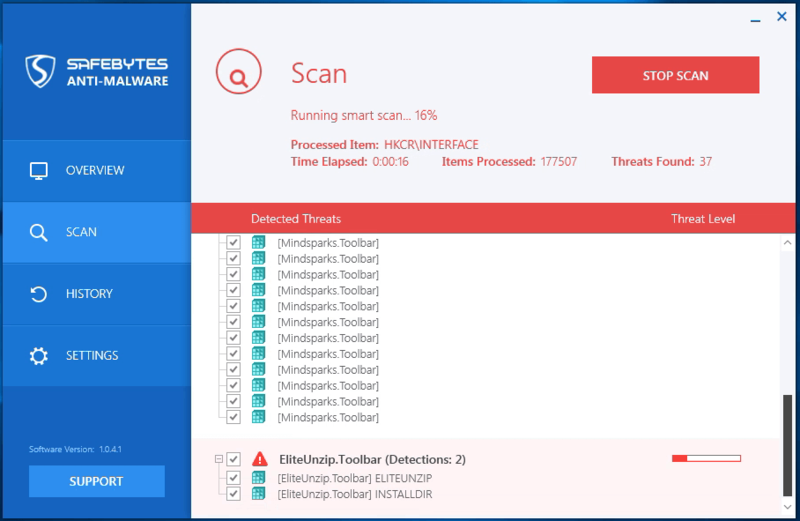 Fast Multi-threaded Scanning: SafeBytes’s virus scan engine is one of the quickest and most efficient in the industry. Its targeted scanning substantially increases the catch rate for viruses that is embedded in various PC files. Web Protection: SafeBytes inspects the links present on a webpage for possible threats and tells you whether the website is safe to view or not, through its unique safety rating system. Light-weight: SafeBytes is well known for its minimal impact on computer resources and great detection rate of numerous threats. It operates quietly and efficiently in the background so you’re free to make use of your PC at full power all of the time. Premium Support: SafeBytes gives you 24/7 technical support, automatic maintenance and upgrades for best user experience. SafeBytes has created a wonderful anti-malware solution to help you conquer the latest malware threats and virus attacks. Once you have downloaded and installed SafeBytes Anti-Malware, you will no longer have to bother about malware or other security concerns. So if you want sophisticated forms of protection features & threat detections, purchasing SafeBytes Anti-Malware will be worth the money! To remove EliteUnzip manually, go to the Add/Remove programs list in the Control Panel and choose the program you want to get rid of. For internet browser plug-ins, go to your browser’s Addon/Extension manager and select the plug-in you want to remove or disable. You will additionally also want to totally reset your internet browser to its default settings. To make sure of complete removal, find the following Windows registry entries on your system and remove it or reset the values appropriately. However, this is often a tricky task and only computer professionals could perform safely. Also, certain malware is capable of replicating itself or preventing its deletion. Carrying out this malware-removal process in Safe Mode is suggested.